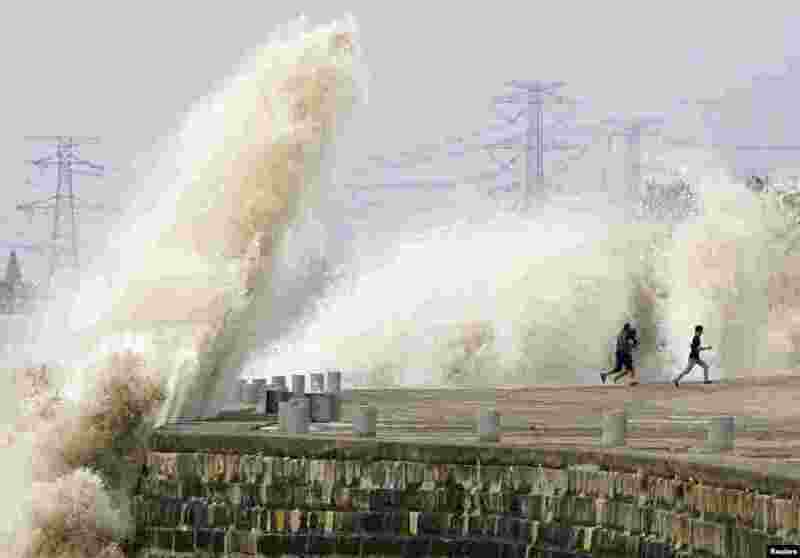 ৫ People run away from waves caused by a tidal bore which surged past a barrier on the banks of Qiantang River, in Haining, Zhejiang province, China, Oct. 8, 2014. 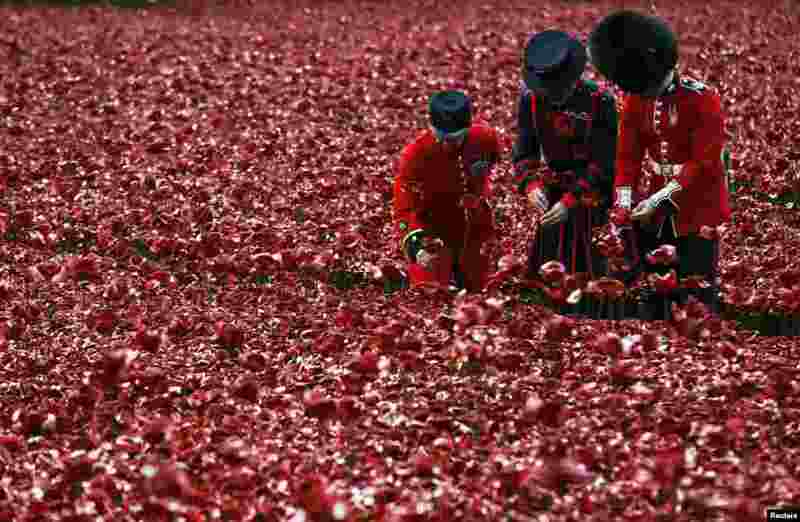 ৬ Chelsea Pensioner Albert Willis (L), Yeoman Warder Paul Cunliffe and Guardsman Joseoph Robinson (R) plant ceramic poppies that form part of the art installation called "Blood Swept Lands and Seas of Red" at the Tower of London. 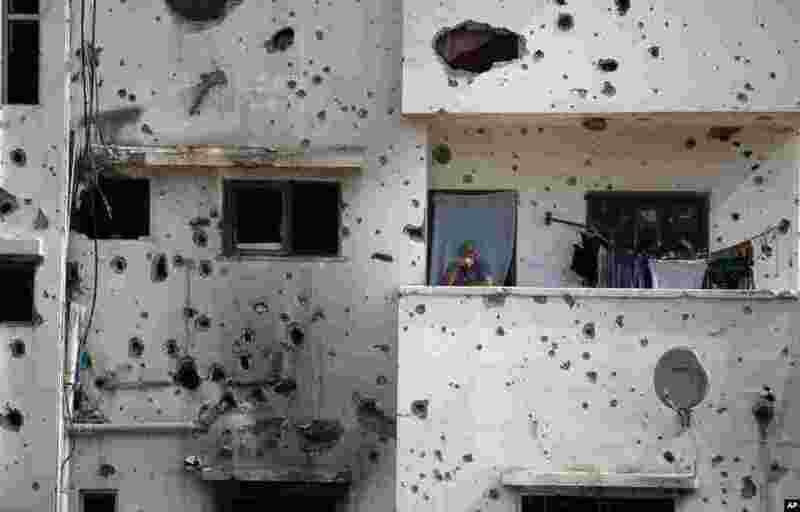 ৭ A Palestinian man stands on the balcony of his destroyed house as he waits for the visit of Palestinian Prime Minister Rami Hamdallah to Gaza's neighborhood of Shijaeyih. 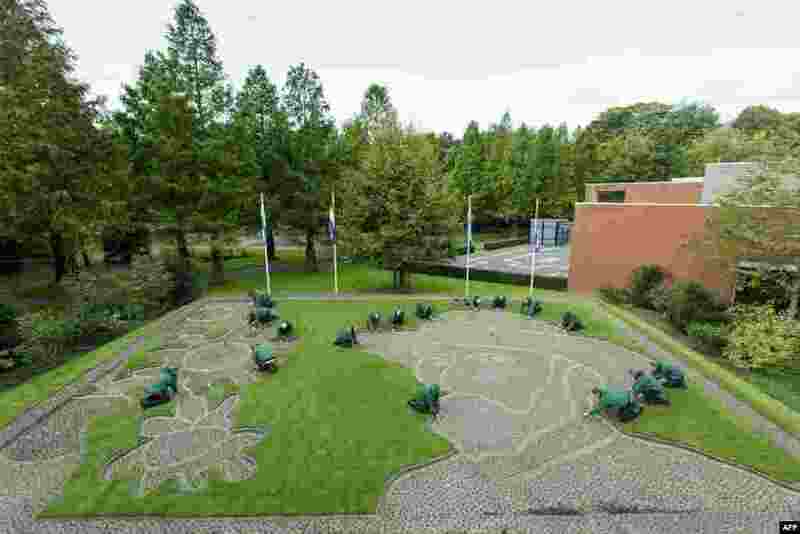 ৮ Tulip bulbs are being planted in the Keukenhof park which in April next year will form a colorful mosaic of a portrait of Dutch painter Vincent van Gogh, in Lisse, Netherlands.